Anne Hébert was born in Sainte-Catherine-de-Fossambault, Quebec. After studying in Quebec City, Anne worked for Radio-Canada and the National Film Board. She spent most of her life in Paris, becoming an acclaimed poet, novelist and playwright. Mary Vaux Walcott died in St. Andrews, New Brunswick. An American who grew up in Philadelphia, Mary belonged to a prominent (and wealthy) Quaker family. She spent her first summer in the Canadian Rockies in 1887 and gained widespread recognition for her pioneering work in photography, painting and glacial studies in the mountains. The Smithsonian Institution published five volumes of her watercolours of wildflowers. Mary Vaux Walcott was also an early member of the Trail Rider of the Canadian Rockies and a regular participant in the Alpine Club of Canada camps. Explorer Mary Schaffer named Mount Mary Vaux after her friend. Jessica Jarvis received her commercial pilot's license - becoming the first woman in Toronto to gain this qualification. Ruby Keeler was born in Halifax, Nova Scotia to Irish-Canadian parents. The family later moved to New York City, where the talented girl began performing in stage shows. She married entertainer Al Jolson in 1928 and made her film debut in 1933 in 42nd Street. 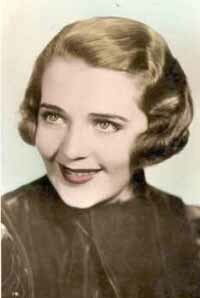 Ruby Keeler became a popular singer and actress. Watch Ruby Keeler in 42nd Street., in a clip on YouTube. Watch Ruby Keeler in a tap dancing routine, in a clip on YouTube. The Canadian Women's Army Corps was created to free men for combat roles in World War II, so Canadian women could meet more of the Army's need for "manpower" at home. 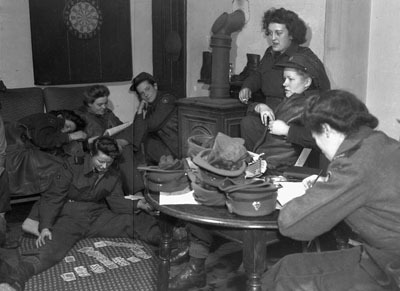 When the Canadian Women's Army Corp was dissolved in 1946, a total of 21, 624 women had served in CWAC - including about 3,000 who were stationed in the United Kingdom.